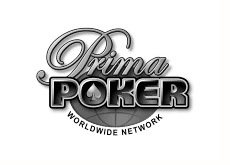 We've covered the high stakes cash games on other networks and sites so far, including Full Tilt Poker and Ladbrokes, and now it is time to cover the Prima network. So far in 2008, "-NoName-" is leading the list of most successful cash game players on the Prima network with a total profit of $216k. This amount has come from No Limit Hold'em cash games on the network. "Bigt2k4" is second on the list with a total profit of $139k. "tjassaa" is third on the list with a profit of $118k. "Undercover", widely rumored to be Ram Vaswani, is sixth on the list with a total profit of $100k. "Nebuchad", whom we just profiled as leading the list of top cash game players on Ladbrokes so far this month, is currently eighth on the list of winners with a total profit of $89k. "copi_rules" tops the list of biggest losers with a total loss of $91k so far in 2008. He is followed by "Tunaeatr", who has booked a loss of $89.9k, and "joseph123" who has dropped $80k. "LrsLzk", who has apparently decided to give up on playing on Full Tilt Poker due to a lack of action, has dropped $66k so far in 2008 on the Prima network over a total of 17 sessions. We will provide another update at the end of February.